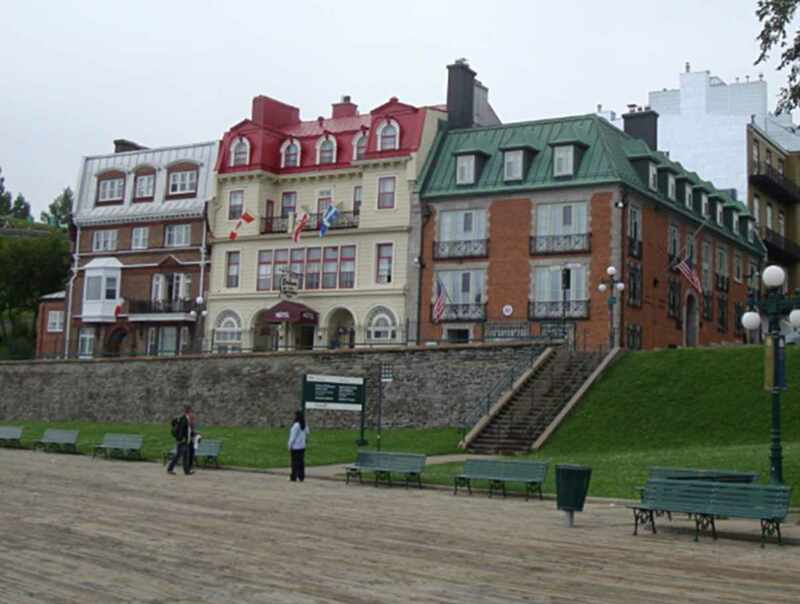 Manor built in 1830 along the Dufferin Terrace—the most beautiful boardwalk in Old Québec—and a short distance from the Citadel and Château Frontenac. Stunning view of the St. Lawrence River from the hotel. We have 22 rooms (most of which have air conditioning), each with complete bath, telephone and colour cable TV. Small continental breakfast (extra charge). Hours: May 1 to October 31.